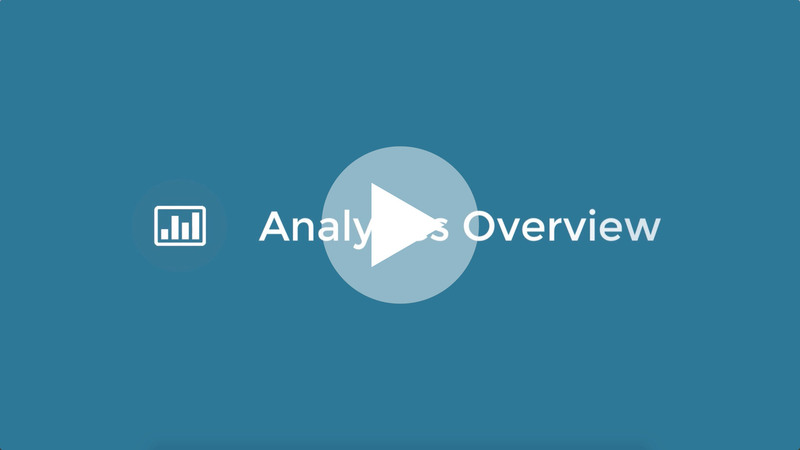 Learn what you can do with the Analytics Panel. 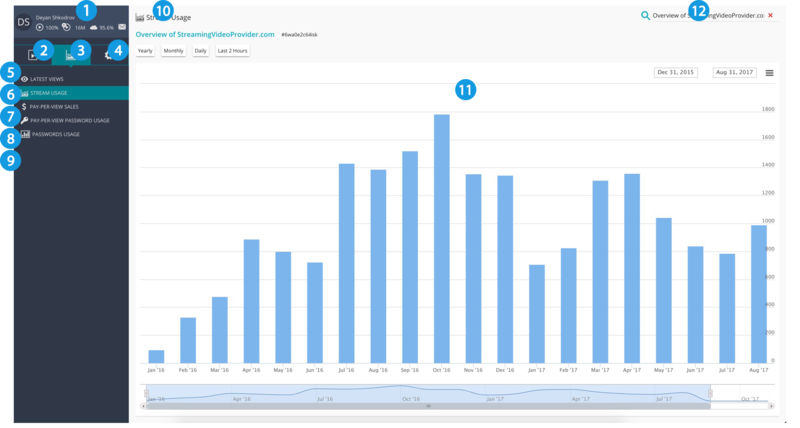 Need to know what everything is when you first load the Analytics Panel? Here's a at-a-glance tour of the Analytics interface. Latest Views - If you select the Views Number for your chosen Media from the Media Sections you will be presented with the Latest Views overview for the selected media. Streams Usage - If you select the Views Number for your chosen media then click on the Streams Usage button in the analytics section you will be presented with a graph of the Streams Usage for the selected media. Pay-Per-View Sales - Shows you detailed information on the latest sales for all your Pay-Per-View media. Pay-Per-View Password Usage - Shows you the latest analytical data for all the Password usage for your sold Pay-Per-View tickets. Password Usage - Shows the latest usage information on Password restricted media. Currently Selected Analytics - Shows which analytics are currently displayed. For Views and Usage will display the name of the media. Data Panel - Shows all the detailed information for the currently selected analytics including graphs, charts and table information. Search Field - Search though your analytics by name, playlist, date or password.